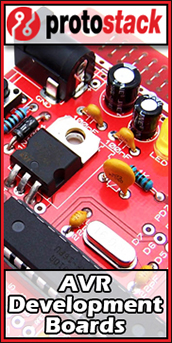 Over the last decade I have owned most of the popular embedded electronics development boards. These boards ranged from Parallax Propeller based to Microchip’s popular PIC lineup, and everything in-between including more than a few dozen Atmel AVR based Arduino boards. While Arduino and the Raspberry Pi have been my focus over the last few years, I have often dreamt of an embedded development solution that would allow me to utilize the same modules, sensors, and breakout boards across a wide range of microcontrollers. About a year ago, I was contacted by a friend who told me about a company local to my area who I had to meet. After some email exchanges, we agreed to meet at my Makerspace, theClubhou.se, on a warm Saturday morning in September of 2013. When I arrived at theClubhou.se I was greeted by Kevin Huffman and Chad DeMeyers, owners of E3 Embedded Systems. Along with them was my longtime friend, Chris Williamson, who was consulting on E3’s exciting new development system they were calling the PIEP system. During that first meeting, E3 began shooting portions of their Kickstarter video, and I was filmed while offering my opinion on the system. Below is that video. 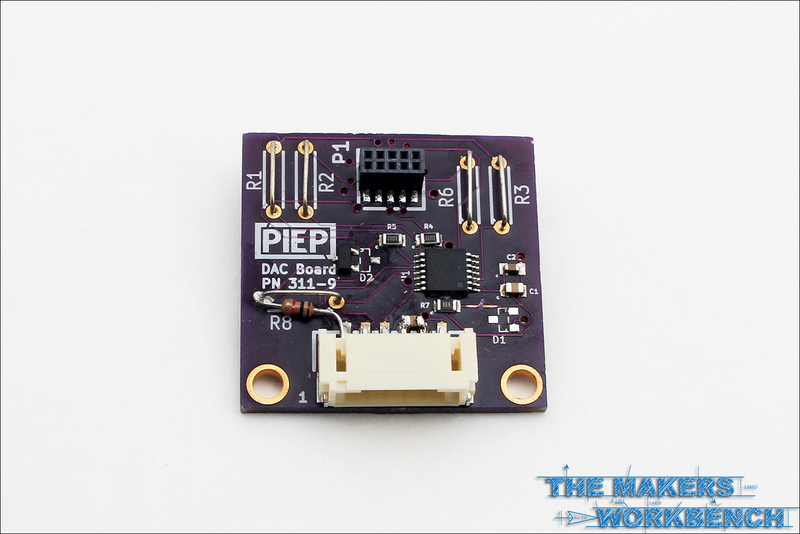 At first PIEP appeared to be just like any other development system on the market, and featured the usual compliment of a host board with several pluggable modules. I had seen many of these types of boards over the years from companies like Microchip, Digilent, Arduino, and Parallax, and was beginning to feel a little let down. Kevin then showed me what makes the PIEP system unique, and I can not agree with him more. 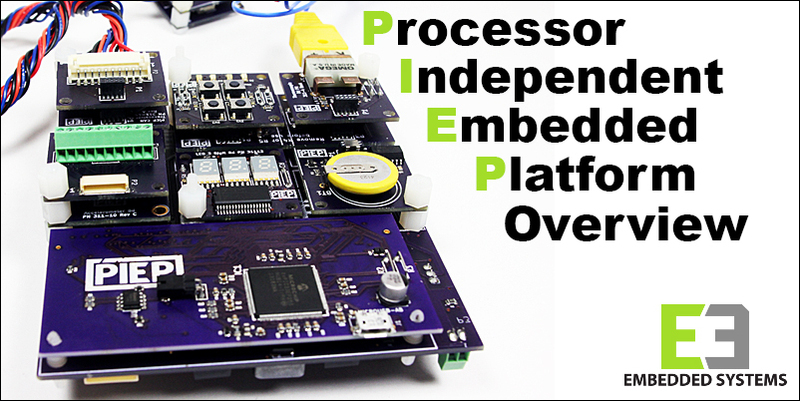 PIEP is the future of embedded development. 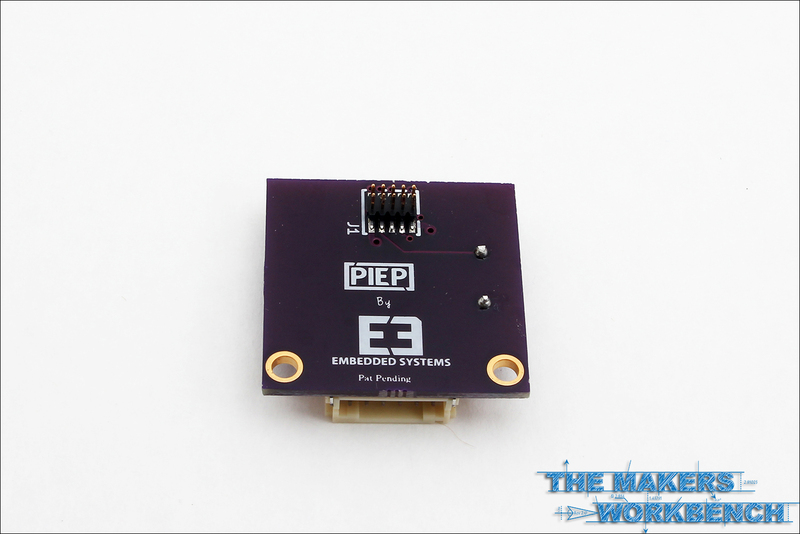 PIEP stands for Processor Independent Embedded System, meaning that the entire development platform is processor independent, and can utilize many different microcontroller chips to control the same sensors, modules, and breakout boards. This negates the need to have several dozen development boards and their supporting modules laying around waiting to be used. 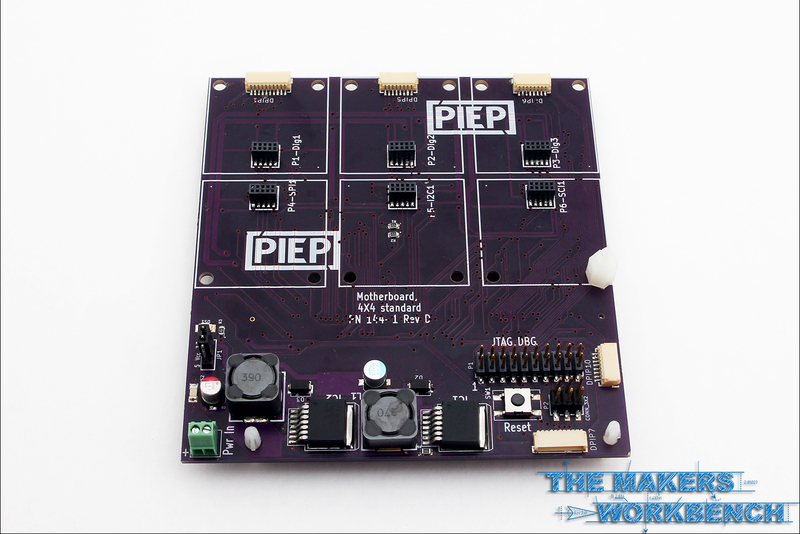 PIEP allows developers to build out their development platform, and then switch between processors which greatly reduces the time spent when a project needs to be developed using the same features and different microcontrollers. 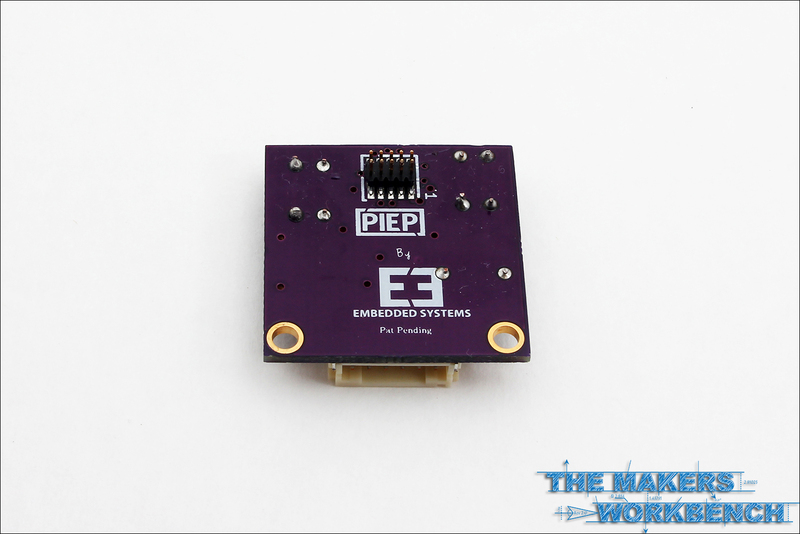 E3 has stressed to me that the PIEP system is not meant to be a replacement for the Raspberry Pi, BeagleBone Black, or even the Arduino and its variants. 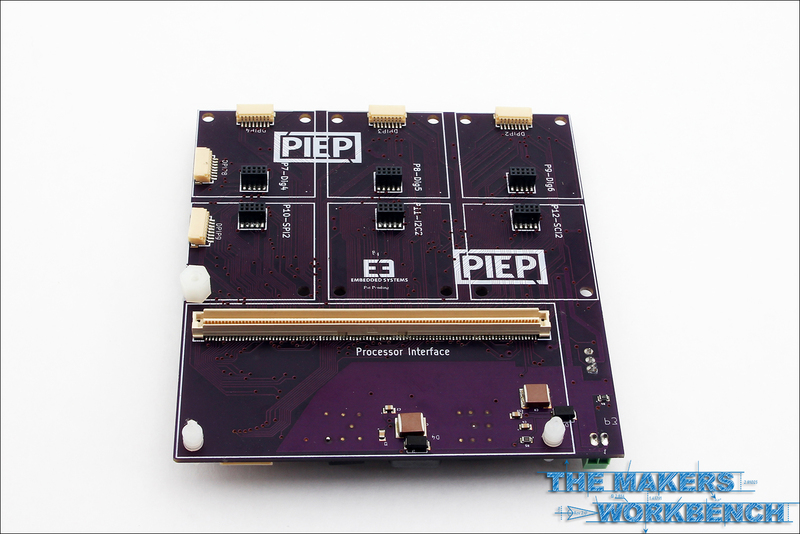 The PIEP system is designed for the educational sector as well as serious electronic engineers who want a development system that is easy to use, modular, and completely processor independent. 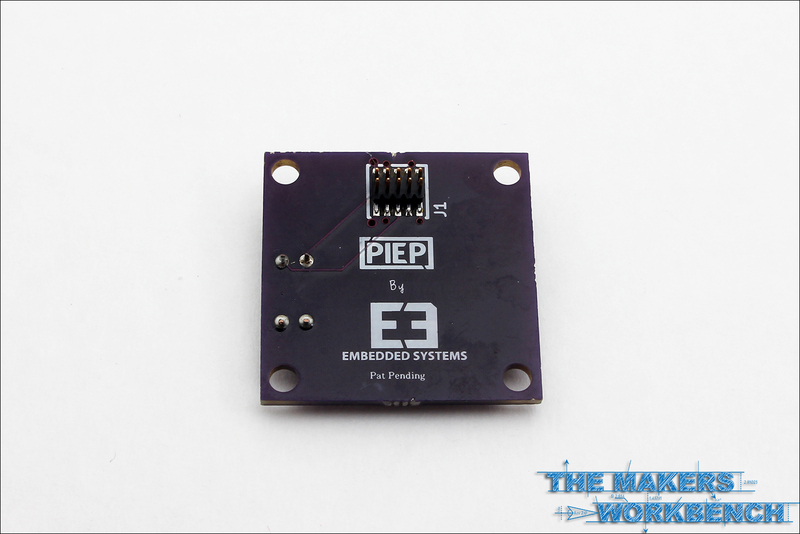 However, the serious embedded electronics enthusiast will find that the PIEP system is the one system that can make their life easier by reducing the amount of break-out boards, modules, shield, and primary development boards they need to keep on hand. 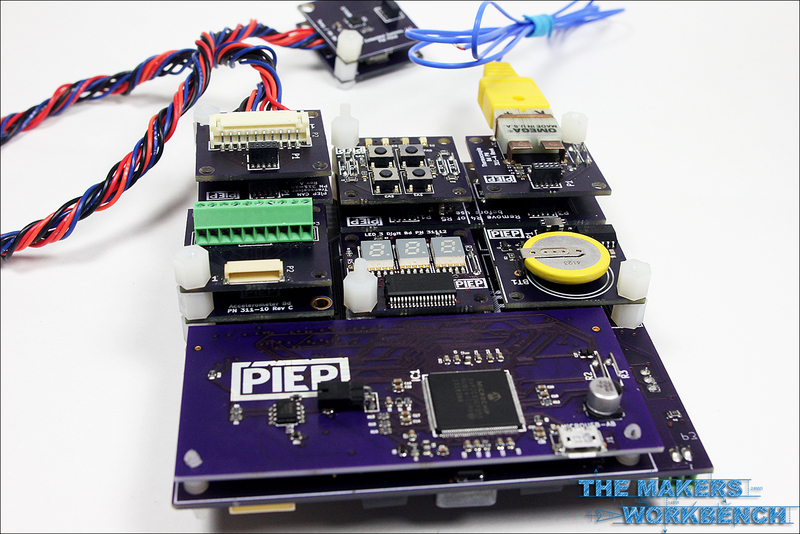 As you can see in the image above, the PIEP system breaks out each individual microcontroller into its own module. 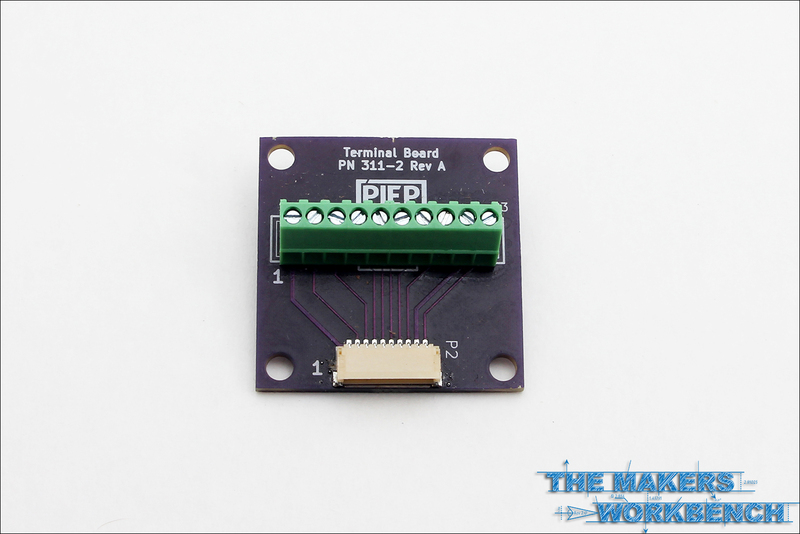 This module then plugs into a mainboard that also accepts several modules via the smaller connectors. As I am most familiar with Atmel processors, E3 provided me with their Atmel SAM3X8E module. I was skeptical at just how sturdy these connectors were at first, but after playing with the system for a few hours, I can testify to just how strong these connections are. When coupled with the nylon standoffs the PIEP system is virtually bullet proof when it comes to connection strength. Ill cover these connections later in this review. E3 has included support for Arm, Intel, Freescale, and PIC architectures and has several processor boards already designed and ready to snap into the main board. I have samples of the Atmel SAM3X8E Arm-based processor, the Microchip dsPIC33EP256MU814 PIC-based processor, and the Freescale MC9S12XDP256 processor which features the performance boosting XGATE co-processor. Each processor module features a unique “snap-together” connector interface, that is almost inseparable by accident when paired with the plastic stand-offs. 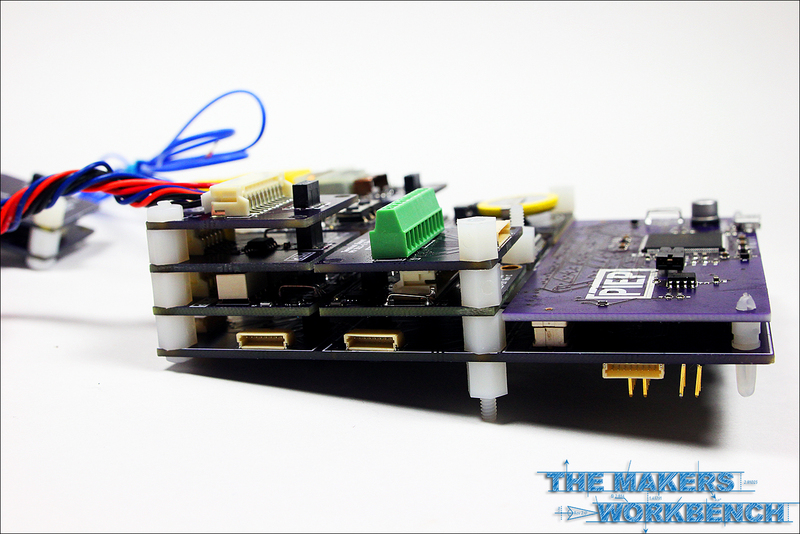 Without the stand-offs the processor module board is easily separated with just a little pulling force. 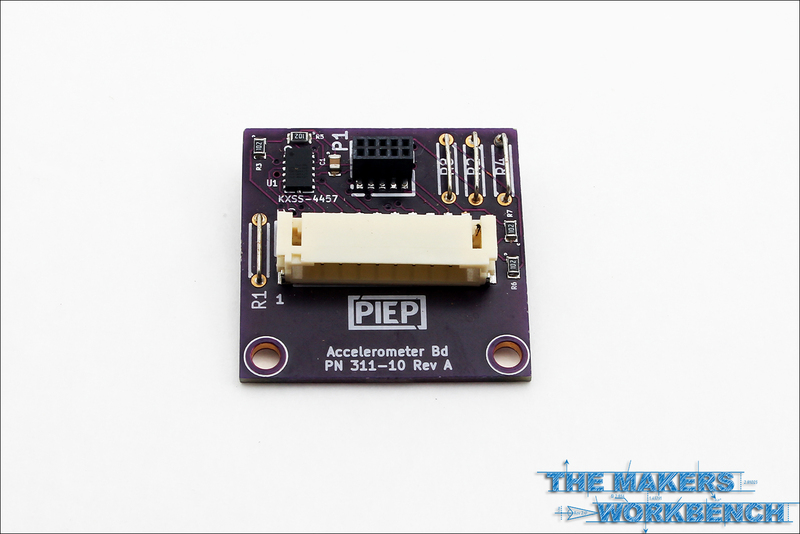 Where applicable, each processor board features a micro-USB debugging port, right-angle header jumper pins, and in some cases, permanent jumpers that can be cut depending on application needs. Additionally, the processor connector features 200 pins which means that there is enough I/O lines for most processors. 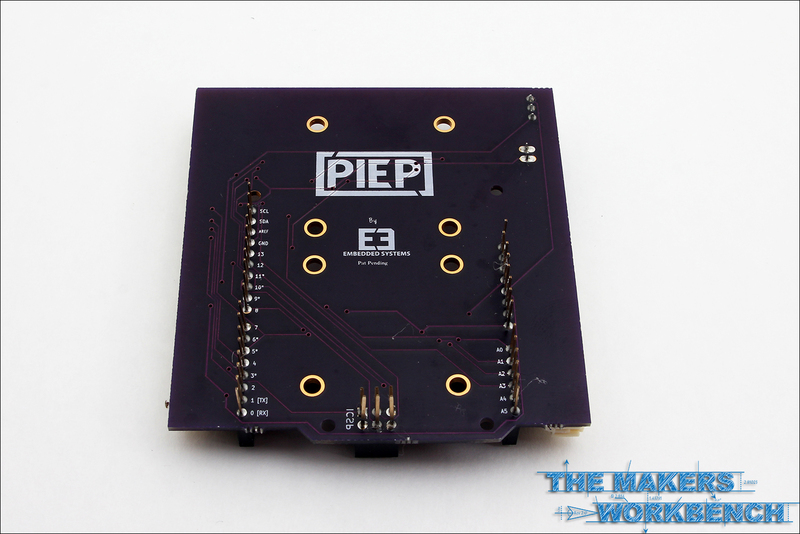 While the Main Board and the Processor Modules are the heart of the PIEP system, the peripherals is where the system really comes to life. 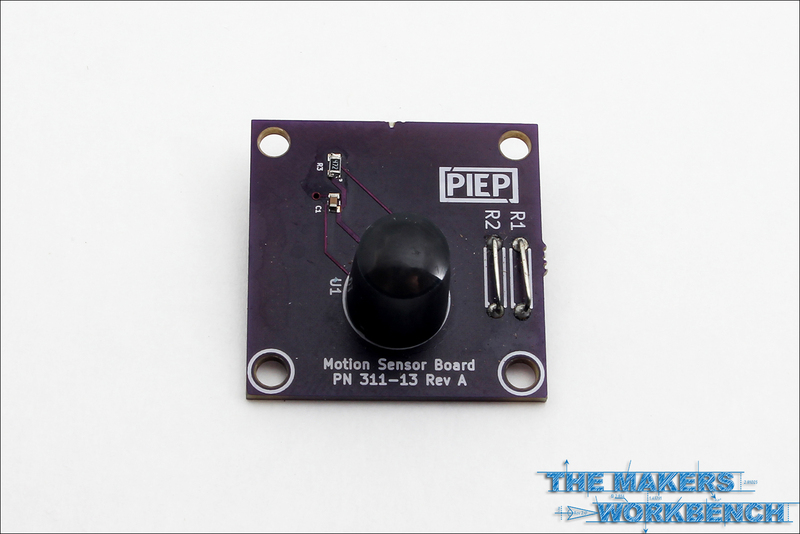 As of this publication, the PIEP system features 21 peripherals encompassing many of the most popular sensors, drivers, and ICs used in the educational and development environments. 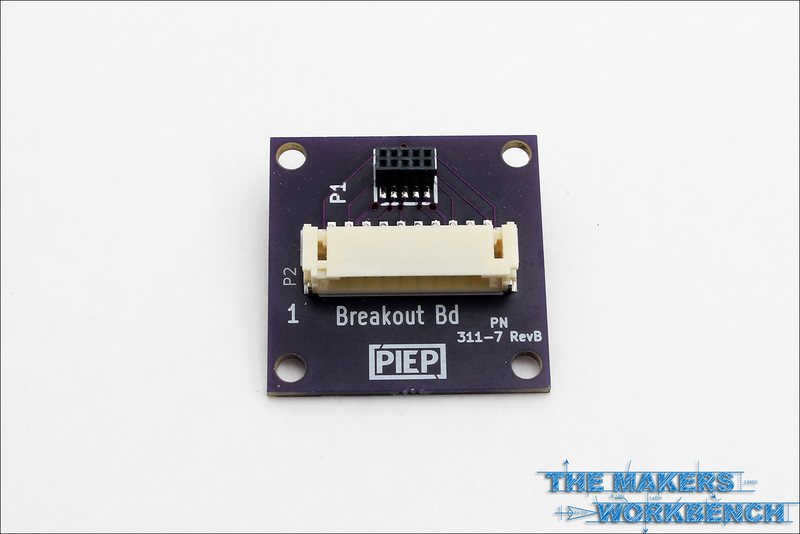 One of the most unique and useful peripheral boards is the breakout board. 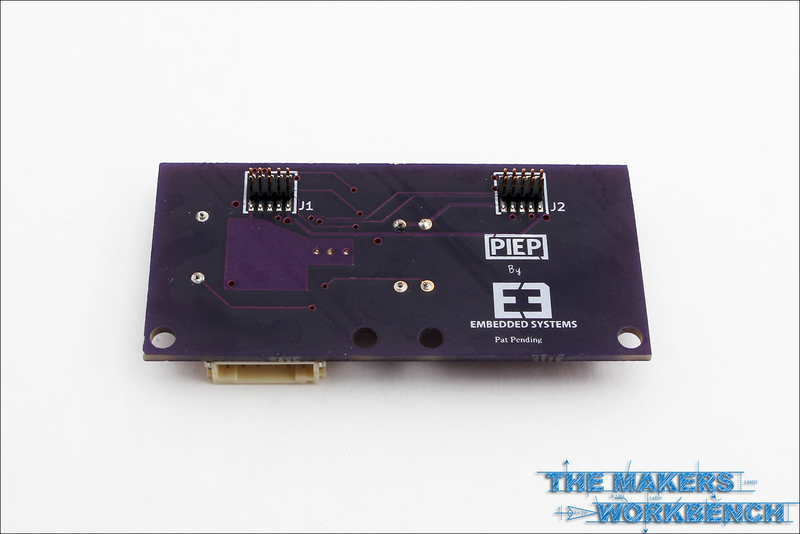 As seen above, this preipheral allows users to move one or more of the sensor borards off of the E3 Motherboard. This breakout system will also allow developers to utilize PIEP peripheral modules with any other development board or micro computer that has its I2C or SPI buses broken out. 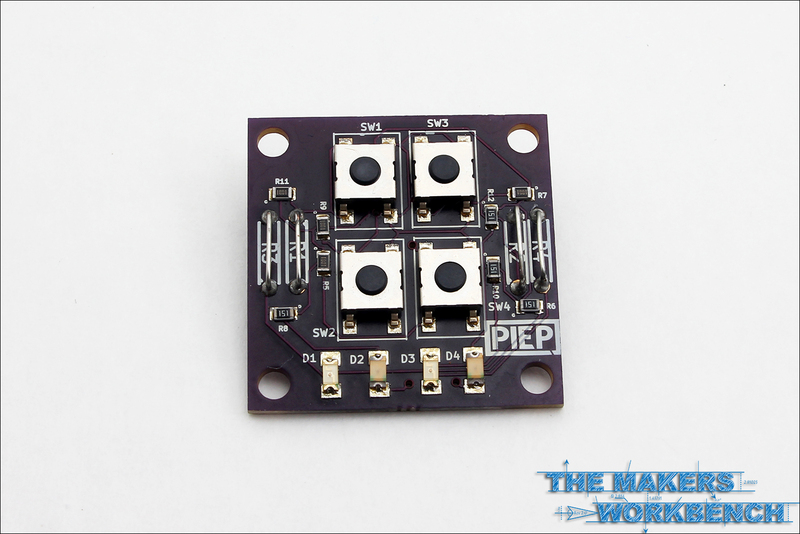 The Arduino shield peripheral is also included in the preipheral lineup, and really expands the number of ready-made shields that the PIEP system is able to access. This is really important to me as I own several dozen shields for the Arduino form factor and this allows me to keep them in use. 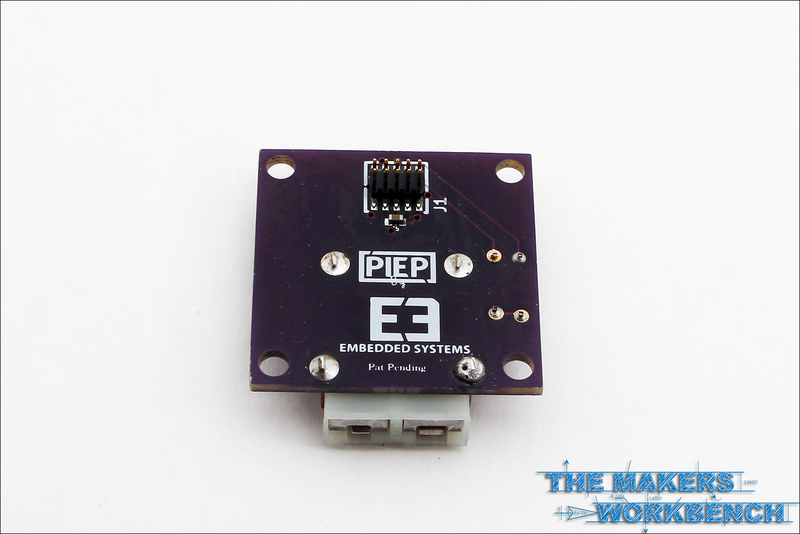 In the spirit of full disclosure, the Arduino peripheral was something I championed for when originally consulting on the PIEP system, and I am ecstatic that E3 Embedded Systems considered my advice and added it into the system. 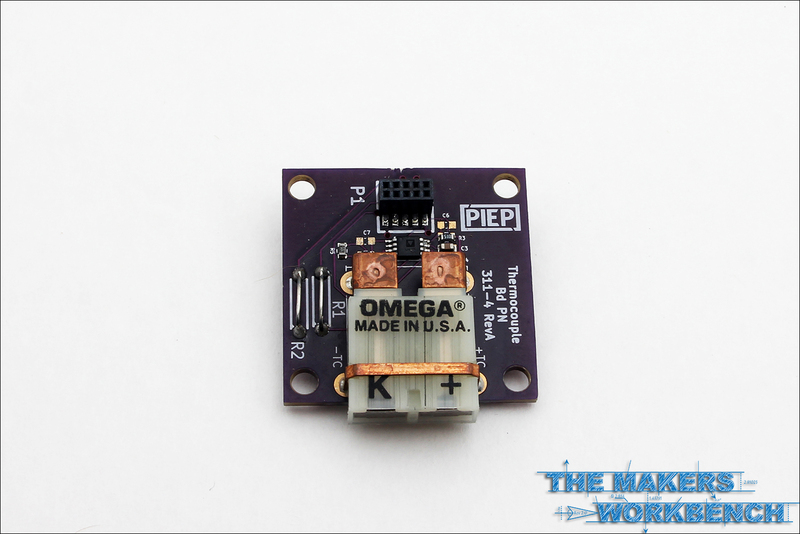 The Arduino peripheral is not just for shields though, as you can actually connect an Arduino to it as well to use the PIEP peripherals in your Arduino projects. I plan on working up a project overt the winter that showcases just how useful this addition is. Below is a complete list of the full PIEP peripheral lineup. 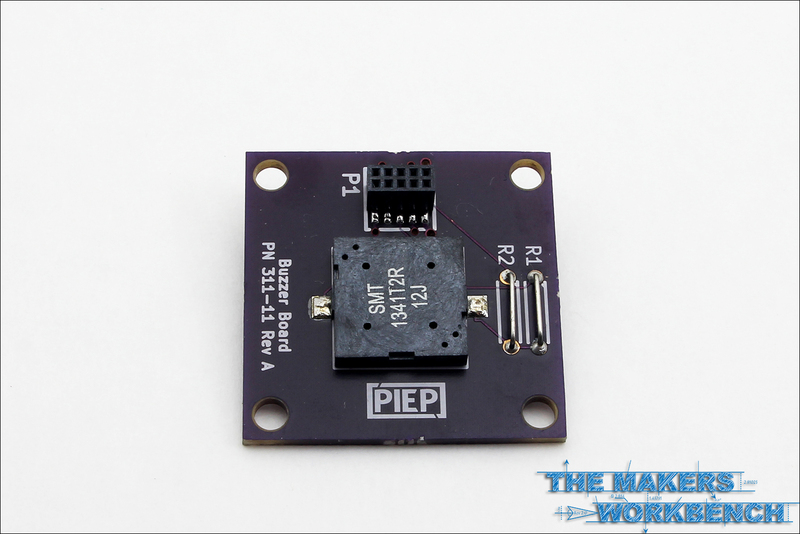 I have a full PIEP kit at my disposal, but unfortunately I have not had enough free time to build a project yet. 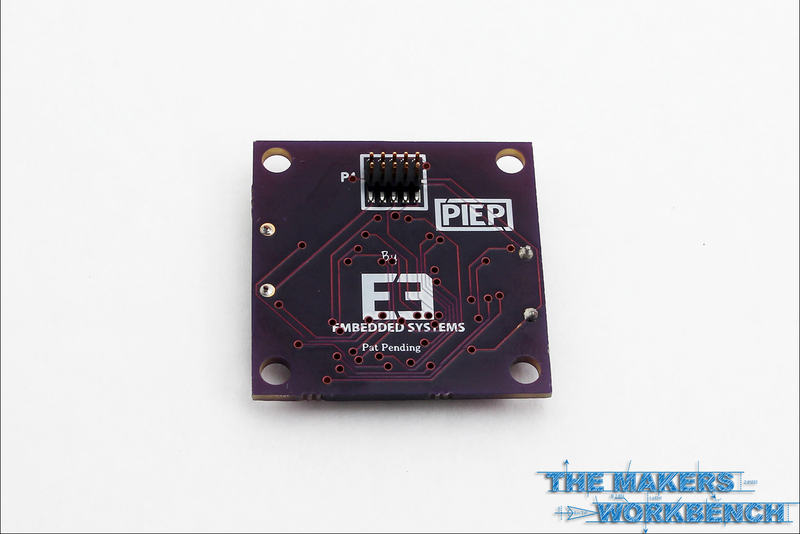 Luckily, E3 has posted a few videos of a surface-mount solder re-flow oven its founder, Kevin Huffman, built using an off-the-shelf toaster oven, and the PIEP system. I got a chance to play around with this re-flow oven a few months back at a festival held at my local Makerspace. This project really proved to me that E3 are grass-roots makers just like I am. The re-flow toaster oven was an amazing proof-of-concept, and was built to make prototyping additional PIEP products easier. 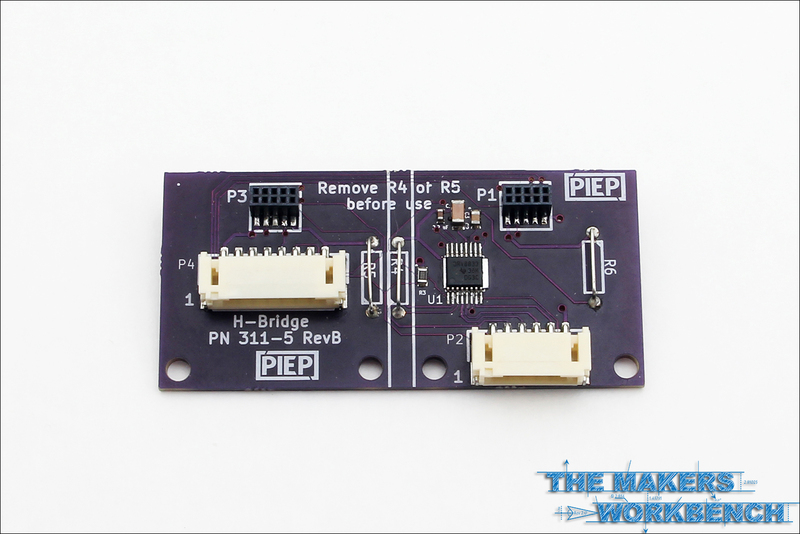 In the videos above and below, Huffman walks us through how he uses the re-flow oven for prototyping as well as what PIEP products were used in its assembly. 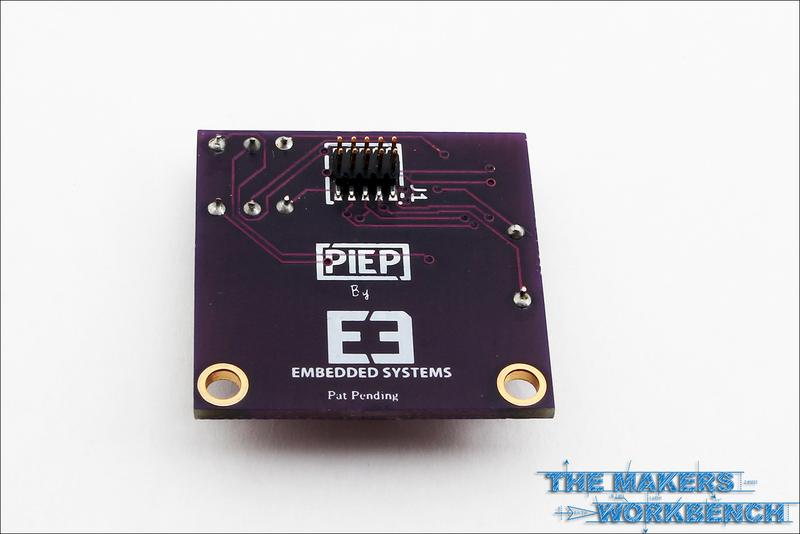 After having spent the past several weeks with the very first production version of the PIEP Full Kit, I can honestly say that I am quite impressed with the quality of the boards, and the attention to detail that E3 has put into building what I consider to be the best embedded development system ever created. Before anyone calls foul, I am saying that in all honesty. 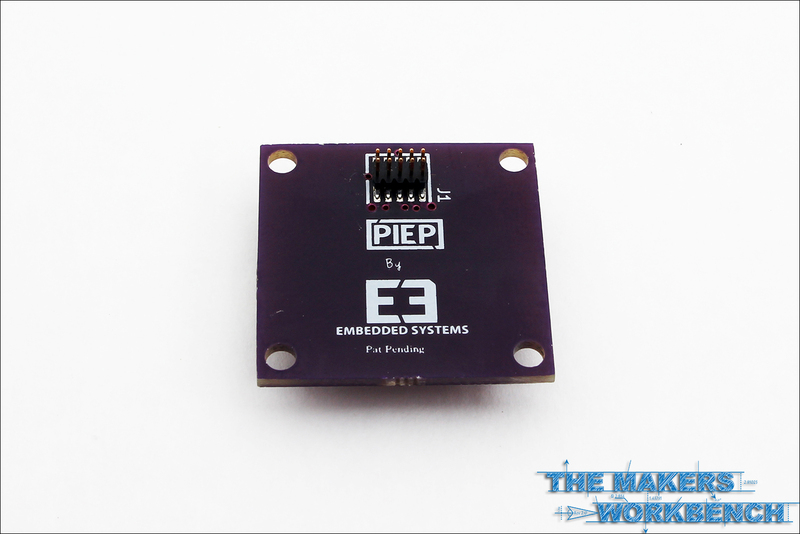 I have been excited about E3 and the PIEP system since I first heard about it, and have been ever since. Kevin and Chad are two of the nicest guys you will ever meet, and their passion for improving the embedded electronics ecosystem is second to none. 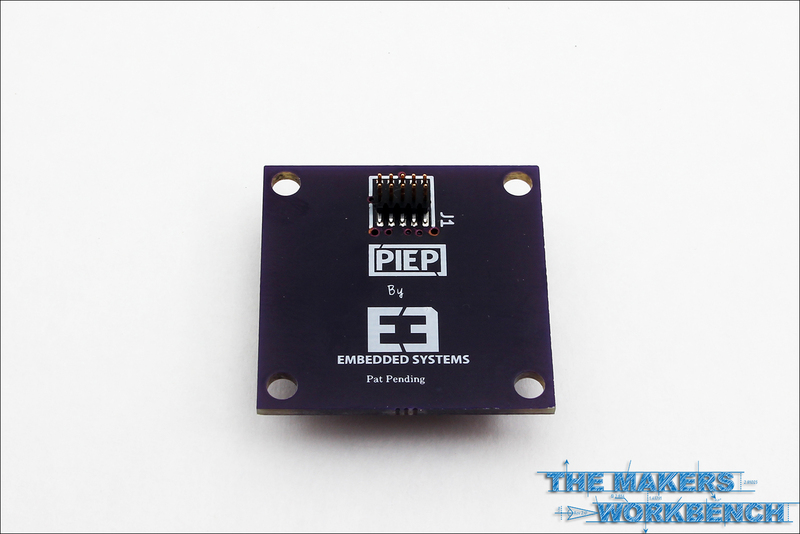 Kevin’s desire to see PIEP become one of the go-to development systems for embedded education applications is second to none as well, and I can honestly say that I would like to see it in every EE classroom as well. 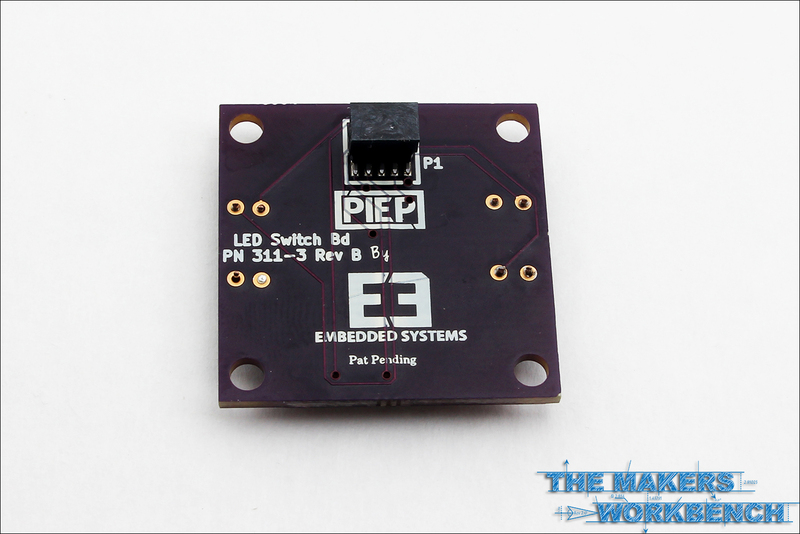 As you may already know, E3 Embedded Systems has a Kickstarter Campaign running right now and is hoping to raise $70,000 to help fun their initial production run. 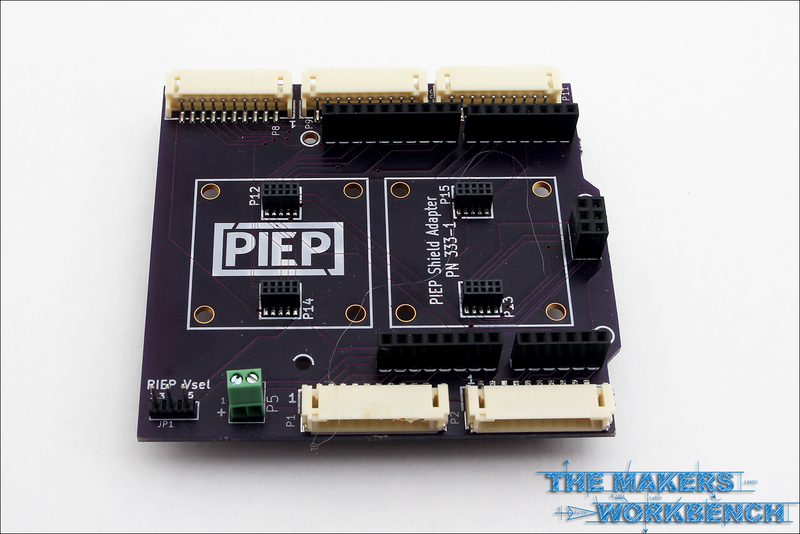 I want to cover some of the PIEP “Kits” you can get by backing the project. I won’t cover the lower reward levels but really want to highlight the ones that actually score you some hardware. The first hardware reward level is at $50 and will score you one break-out board and one peripheral board of your choice. 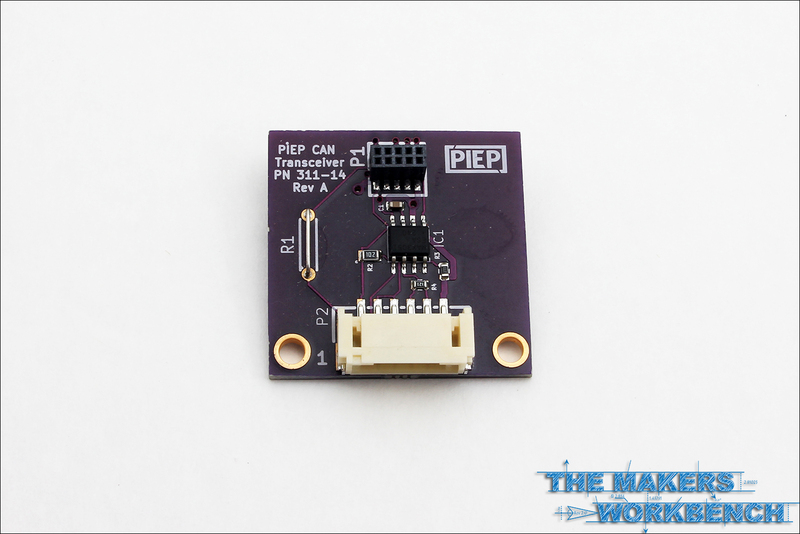 This will allow you to use this peripheral with any embedded computer that has I2C or SPI interfaces. 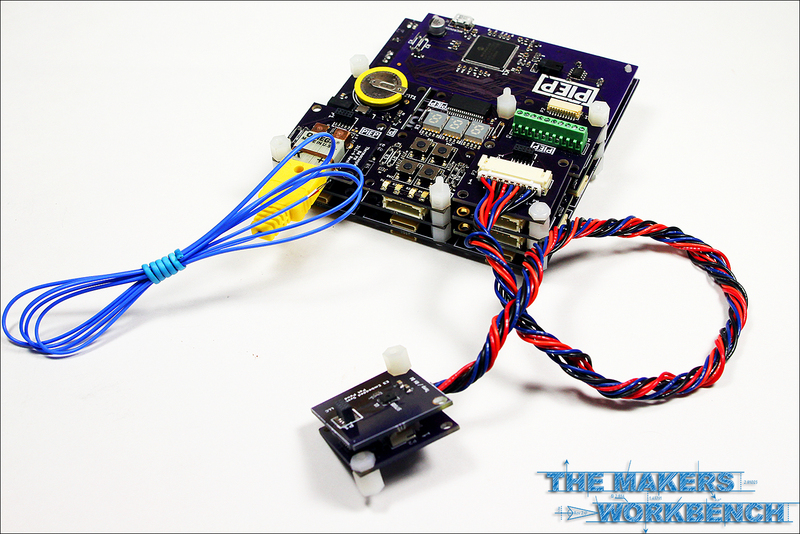 This is an excellent way to get your hands on some of the cool peripherals such as the Thermocouple board, or the motion-sensor board. 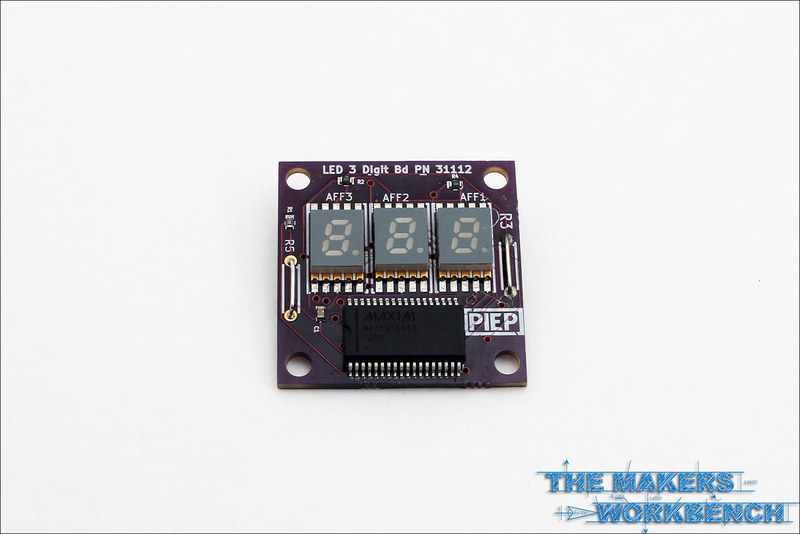 The $100 level is the way to go for those who want to take advantage of the PIEP peripherals in an Arduino environment. 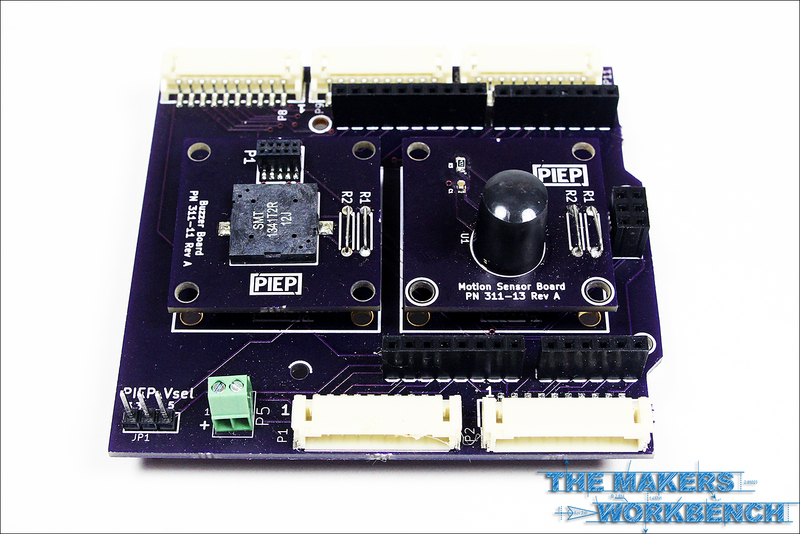 For $100 you get the PIEP Shield Adapter along with two peripherals of your choice. 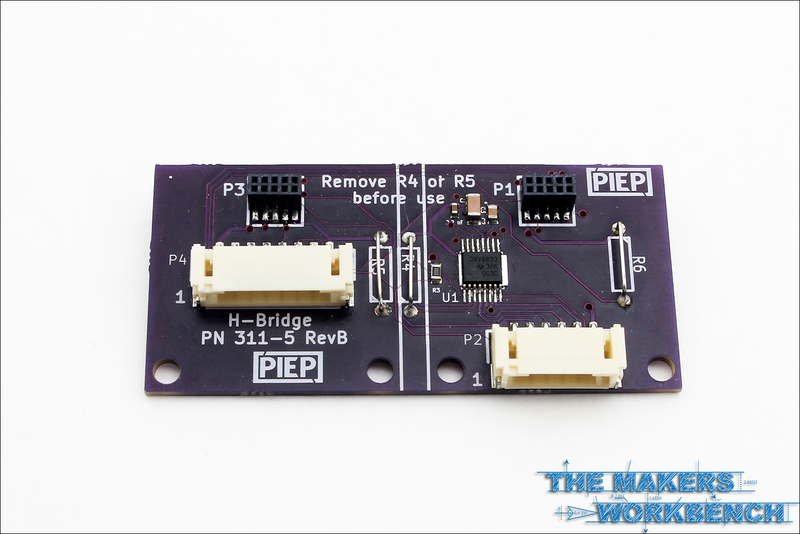 For someone not wanting to spend the $240 it takes to get an E3 Motherboard, Processor, and Peripherals, this level is an excellent alternative if you are an Arduino-savvy maker, hobbyist, or beginner. The $240 level is where the real fun begins. Backers at this level receive an E3 Motherboard, one Processor board, and three peripherals of your choice. This is the basic PIEP set and is a very good entry point for someone who may not need the entire suite of processor and peripheral boards. The next three levels all include a single E3 Motherboard and one processor board. The difference is in the number of peripherals included in the kit at the different levels. For $330 you get six peripherals, $450 = ten peripherals, and $600 includes 15 peripherals. 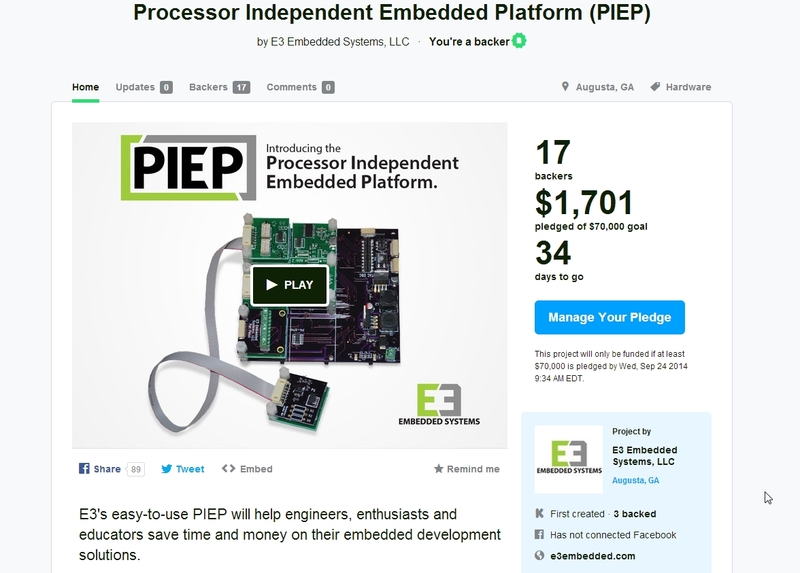 To get the entire PIEP kit you will need to back the campaign for $950, but it’s entirely worth it for what you get. The $950 level includes one E3 motherboard, 3 Processor boards, and the entire lineup of PIEP peripherals. This is the kit that I have, and I truly do feel that it is worth every penny of the $950 that E3 is asking for it. 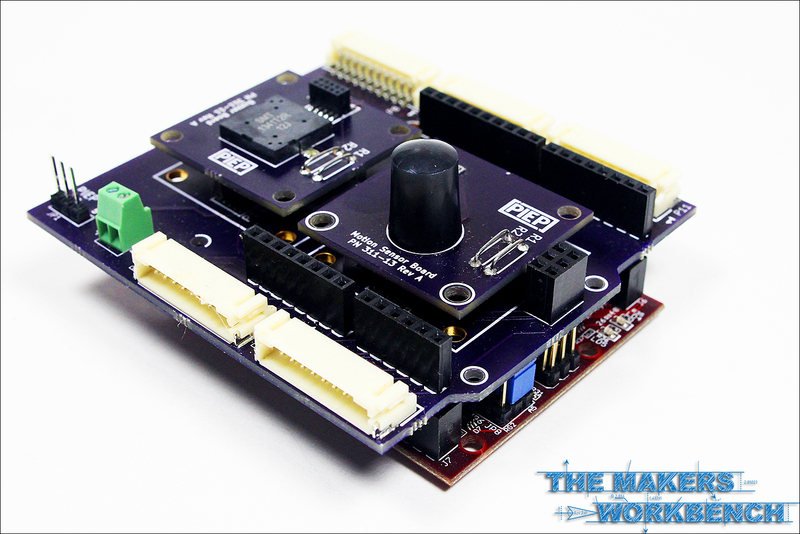 For less than $1000 per student, educators can have a full development suite that covers not one, but three architecture environments and not have to worry about supporting each with its own independent set of sensor, IC, and driver breakout boards. This is also true for the developer who wants to support multiple architectures but does not want to stock a full set of breakouts for each processor. 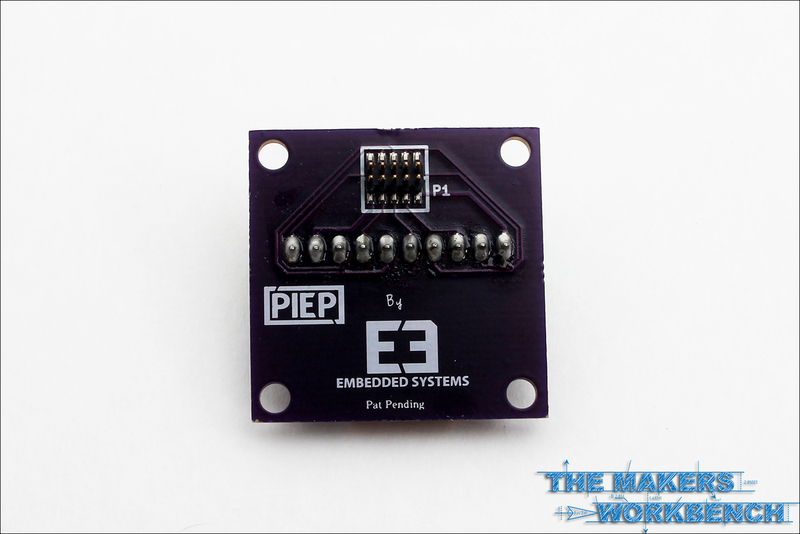 As I have said multiple times thorough this overview, I am truly honored that E3 Embedded Systems chose me to be the first person to give a complete PIEP kit to for review as well as for use in projects. I would like to point out again, that everything I wrote in this overview is from an objective standpoint, and I have worked hard to remain non-biased in my opinions on the PIEP system. 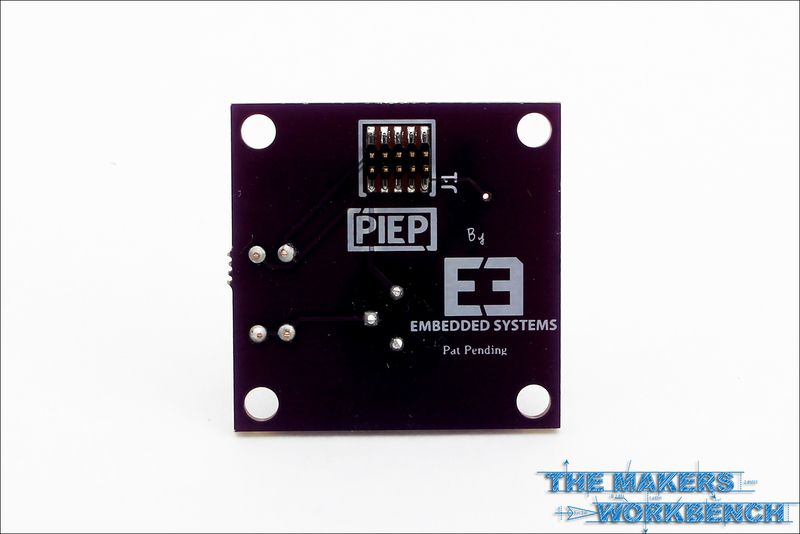 E3 has just informed me that they will be offering a new kit at a cheaper pricing point, in an effort to get more Makers and Hobbyist onboard with the PIEP system. It appears that the Kickstarter has not been updated yet, but the details of the board are posted below. 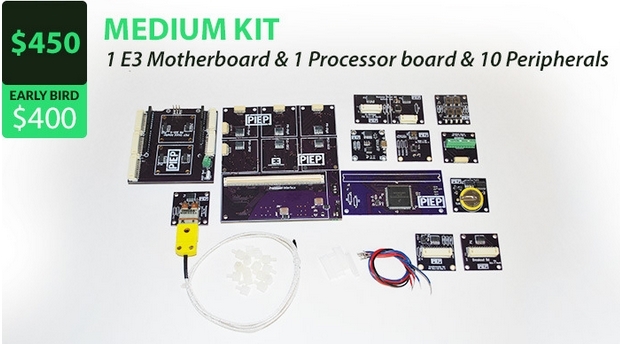 This is an excellent kit for the home hobbyist or even something that Makerspaces should consider picking up for use in embedded classes.